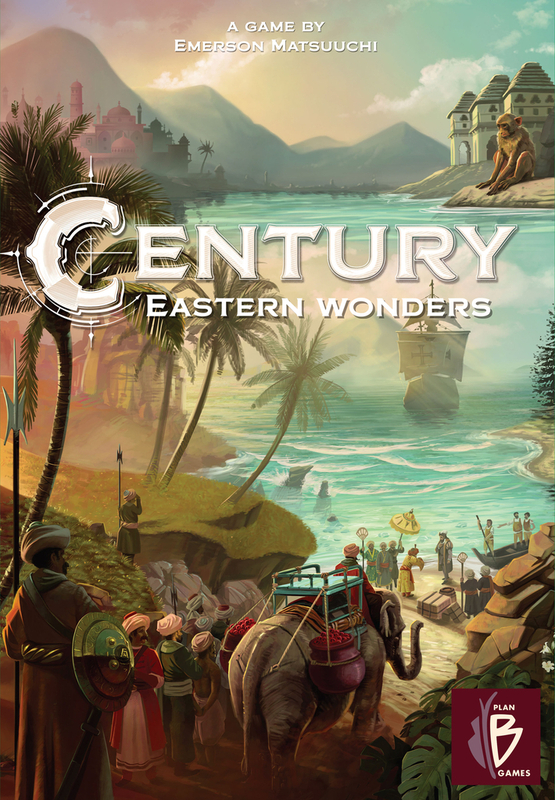 Who remembers really very good card game Century: Spice Road from last year? I talked about it on podcast 57. 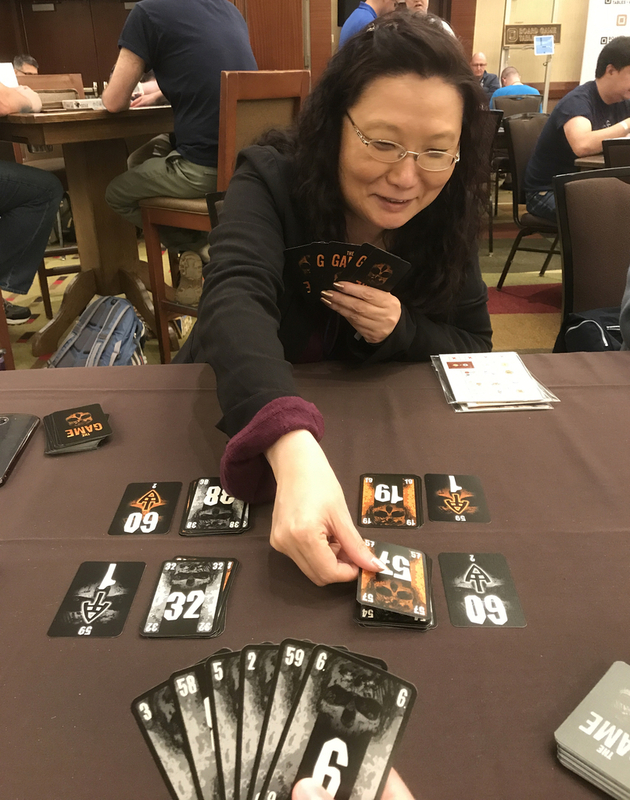 Basically, it’s a sort of “hand-building” game from up-and-coming designer Emerson Matsuuchi where you acquire cards, use those cards to manipulate the spice in your possession, and sell spice for points. Honestly? This just shot to the top of my most-wanted list. I wanted to like Spice Road but it was just a shade thin and uninteractive. 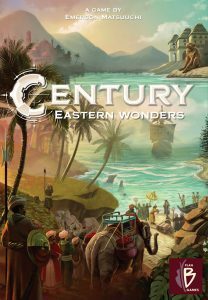 Eastern Wonders sounds like it could create something really superb, and I’m loving the use of colour from (who else?) artist Chris Quilliams. 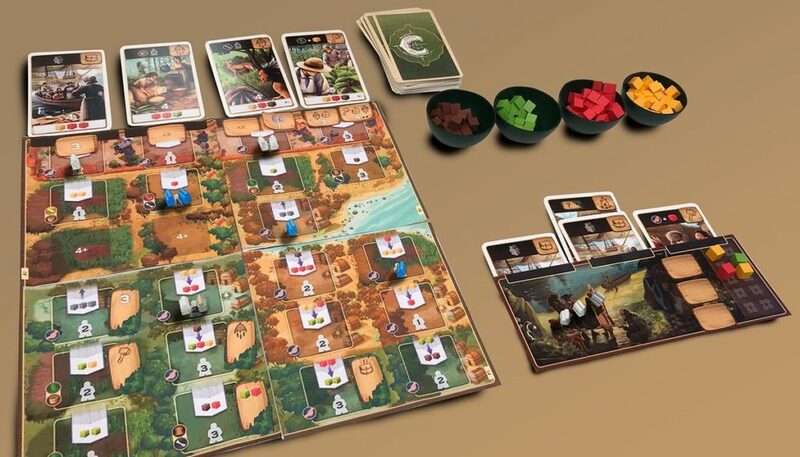 Paul: Pricking my ears this week was The King’s Dilemma, a semi-cooperative game of machiavellian management by Steam Park co-designer Lorenzo Silva and Photosynthesis designer Hjalmar Hach. 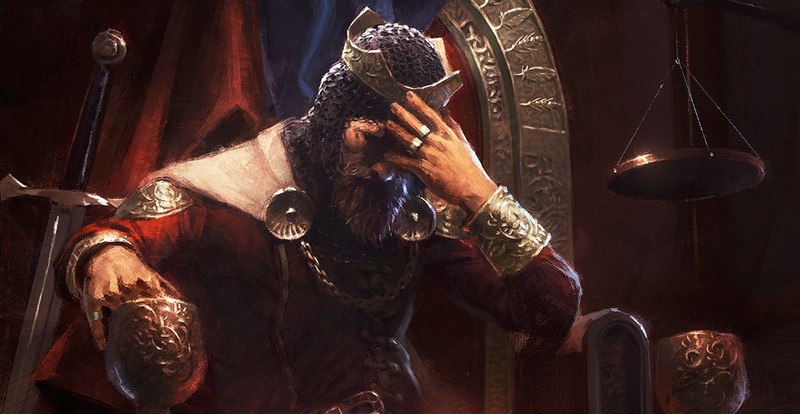 You and your political peers represent factions running a kingdom together and must tackle the issues of the day in a way that both benefits the realm but also furthers your own interests. Personally, I don’t see what the problem is, as what’s good for me is obviously also always good for the realm, but that’s probably not true for your faction. Quinns: This isn’t the only announcement from Italian publisher Horrible Games to pique our interest. Alone is a miniatures game where one player controls a single, stranded hero, and is conspired against by up to three (three!) “evil” players who run the scenario. What a fun concept. Quinns: Good news for bovine-bothering businesspeople this week, with the announcement of an expansion for the complex and challenging Great Western Trail. 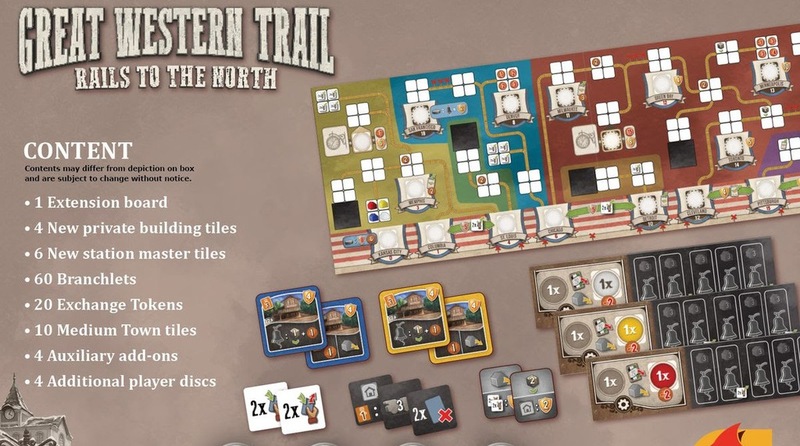 Rails to the North will add an extra line that runs off to the northeastern United States, allowing you to deliver to places like Detroit and New York City, as well as new station master tiles, private buildings and the ability to “help form towns”. And sixty branchlets. Sixty! Paul: That’s too many branchlets. I’m overstimulated. I’m now constantly thinking about cows and trains and all the weird things to do with cows, such as how they can’t cross cattle grids, pull grass with their tongues or produce over a hundred pounds of saliva a day. This always happens when I think about cows. Ugh. Get us back on track, Quinns! That’s a train joke. As our resident Great Western Fanboy, how does this make you feel? Quinns: It makes me feel funny in my tummy, Paul. I was looking forward to this expansion, but trains are the aspect of Great Western Trail that I find the least interesting and elegant. So in that sense, this announcement is disappointing. But then, Rails to the North might make the train side of Great Western Trail really exciting? So it could be GREAT? 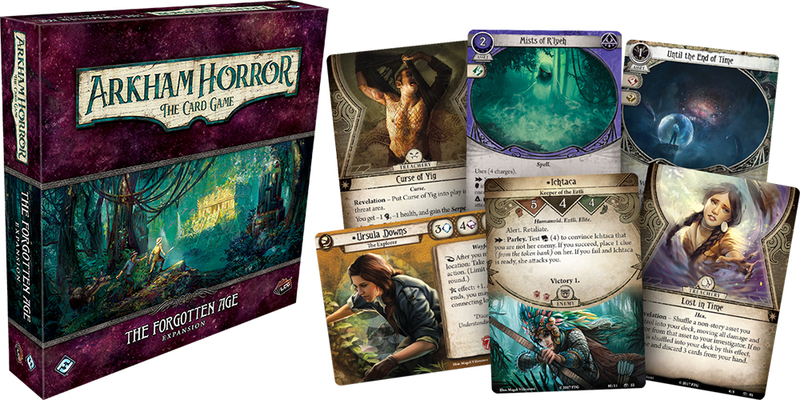 Paul: In further news of expansions that MIGHT BE GREAT, Fantasy Flight has revealed the third “deluxe” campaign expansion for the Arkham Horror Card Game. The Forgotten Age will have hundreds of new cards that will take players into the deep, dark jungles and decaying temples of Mexico. Paul: Snakes! Aztecs! A new Explore ability, whereby you dive into a separate deck and hope to find what you’re looking for without encountering transdimensional terror! Which, I suppose, is like saying you’ll hope to drive during rush hour without encountering traffic. 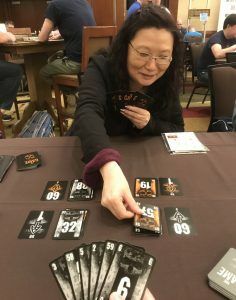 This week I also spotted this write-up of the latest incarnation of The Game, courtesy of BGG’s W. Eric Martin. Face to Face is a competitive version of the surprisingly cruel lay-out-cards-in-order challenge which, to our surprise, had Eric ruminating on the value of play, the nature of life and what any of it is really worth. Which is, uh, possibly a little more morose a reflection than we expected considering the subject matter. Quinns: I played The Game and quite liked it. You played it too, right? Paul: Yes, and trying to capably and efficiently sort cards sure was a challenge, but it didn’t quite have that dramatic an effect on me. Also caressing our curiosity this month is the particularly unusual Monopoly Cheater’s Edition. 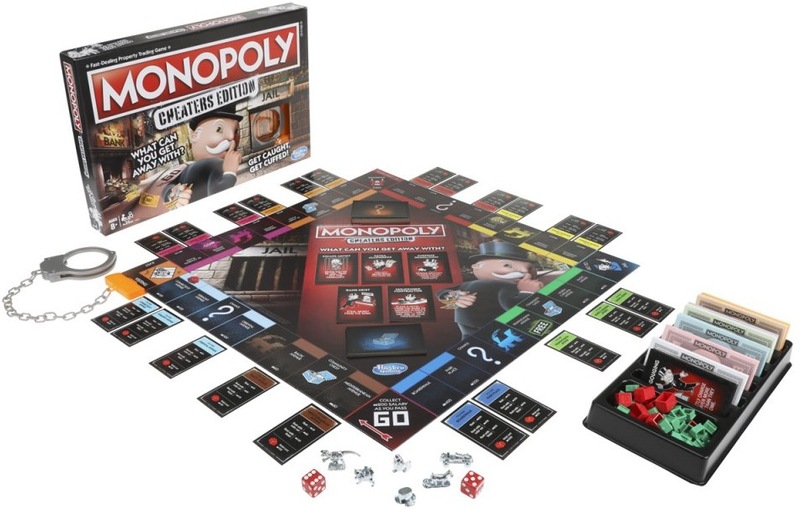 When I first looked at this I thought it might actually be such a dramatic reinterpretation of a tired game that it might turn our world around but, eeeuuuhhhhh, it’s still Monopoly with, again, a few new gimmicks bolted on. In this edition, the game encourages you to cheat by giving you cards that suggest you steal from the bank or interfere with another player’s tokens (don’t even get me started on how this isn’t cheating if the game formalises it), offers rewards to those who get away with it and even makes some spaces on the board much cheaper. Get caught “cheating,” however, and you may end up being handcuffed to the board and wait a second that is an absolutely dreadful idea. Who else foresees there being a problem with one player being physically attached to the game board? Ugh, why am I writing about this? I’ve annoyed myself. Time to mosey on down to Kickstarter town, where the expansion for sci-fi entrepreneur simulator Xia: Legends of a Drift System is being reissued, accompanied by another, smaller expansion for 2018. The big box, Xia: Embers of a Forsaken Star, is one of those expansions that adds MORE! Quinns: More cards! 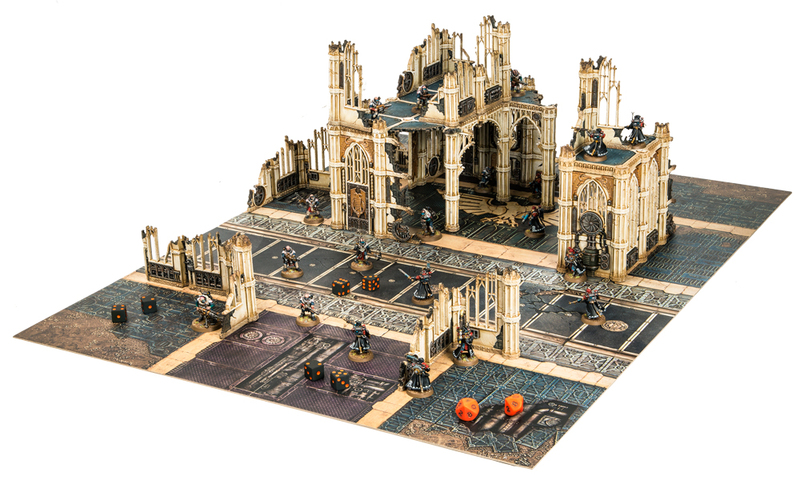 More sectors! More ships! More mods! More missions! More rules! 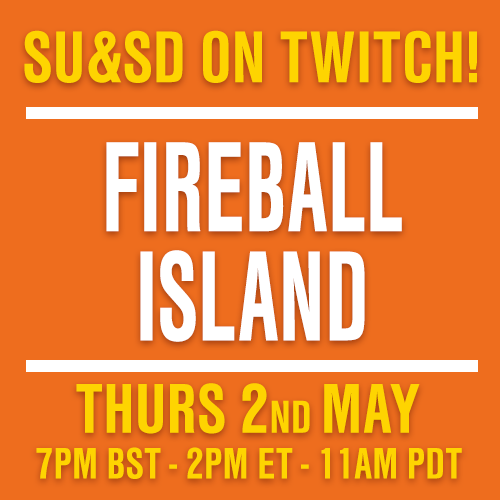 There are now deadly ice asteroids, ice damage, an event deck, an economy, relics, dead worlds, more, more, MOOOORE! Readers might remember that while Xia did impress me with its generosity and ambition, I wasn’t the biggest fan of the design itself. But who cares what I think! Since then Xia has earned a happy fanbase, and for them, these expansions seem like a dream come true. Speaking of Kickstarters with a proven game behind them, Endeavor: Age of Sail went live this week. 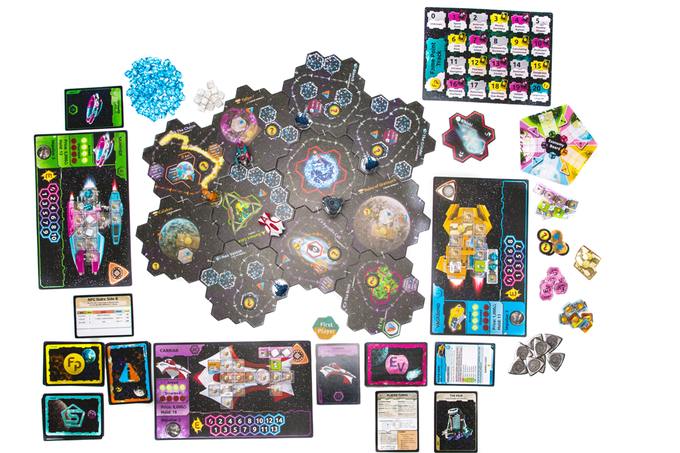 This is a gorgeous, updated, expanded 2nd edition of a well-liked game called Endeavor, which has been out of print for something like six years? Players in Endeavor are shipping companies who… establish trade routes and occupy cities all over the world… hmmmm. 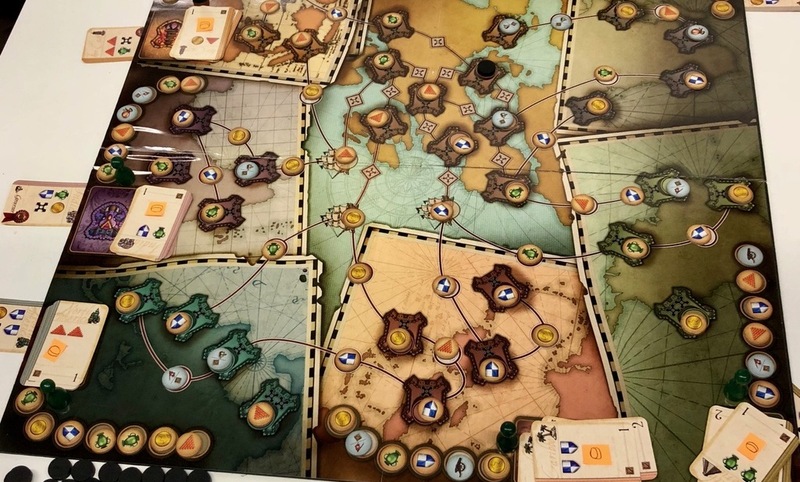 All the same, I’m looking forward to getting my hands on a review copy of Age of Sail. It’s always great fun playing “catch-up” and trying a classic for the first time. Finally, here’s a Kickstarter you don’t have to back – the project’s been cancelled – but one that we wanted to draw attention to because it’s such a cool idea. 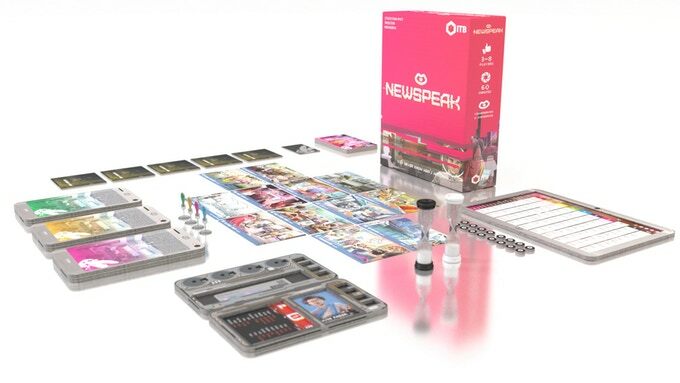 NewSpeak, a game of covert communication and political dissidents, had an excellent pitch video and a wonderful premise, asking players to try to communicate subtly (even using made-up language!) so as not to get caught or. Alternatively you can play the government, who must LEAP UPON THOSE REBELS AND BRING THEM TO JUSTICE. Paul: Oof, yes, I agree and I think this is a sad loss, but projects like this are rarely out of action for long and I hope the designers can either return to crowdfunding soon or find an alternative way to turn their idea into reality. There’s always more than one way to skin a dissident.